"Your chance to be a champion has arrived! 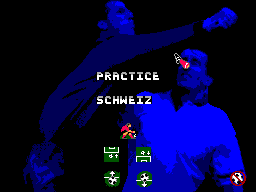 Compete against Europe's finest teams in the football game for 1992. 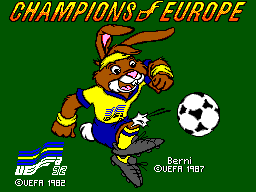 Fast paced action, multiple options, 'instinctive' controls and superb animation make CHAMPIONS OF EUROPE the official game of UEFA '92 rock solid soccer!" Qualify for the semi-finals and play until a score of 0-0 is reached at half-time. Select the "Quit" option to jump to the finals. Kicking the ball into your own goal, will class as a goal for your team.